Auto correction in Microsoft Office sometimes become a mess when you are writing something then it suddenly changes into something else. This is common for the users who are typing in Hindi or Devanagari. Whenever you try to type in Devanagari Microsoft tries to auto correct these words referring to the English (US) Dictionary or the language of Microsoft office which is installed in your PC. So, you have to disable auto correction in the Microsoft office to overcome this problem. This method can be applied in the same way in both Microsoft Excel and Word. 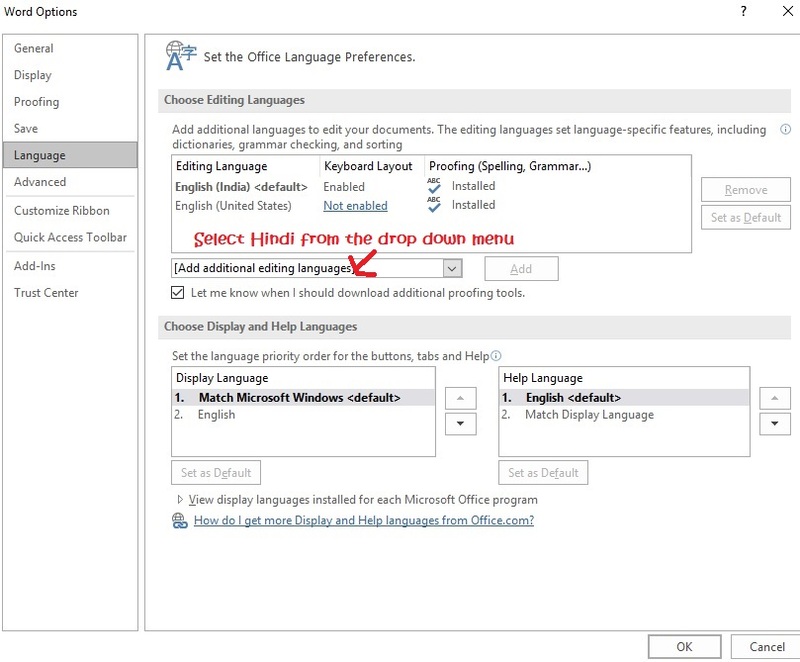 Go to File> Options> Language now from the drop down menu select Hindi and then click Add. You will need an internet connection to download the Editing language. Now change the Language at the bottom of the Word just next to number of words count. Go to File> Options> Proofing Now open the Auto Correct Options now disable each box in each tab now click OK. Now check if the auto correction is working or not by typing misspelled words. If it still doesn’t work, then try disabling more feature under the auto correction options in the proofing. Whenever a word is auto corrected you will see a small blue hyperlink below it just hover the mouse over it and it will show the auto correct option now here you can change the options related to that kind of correction. 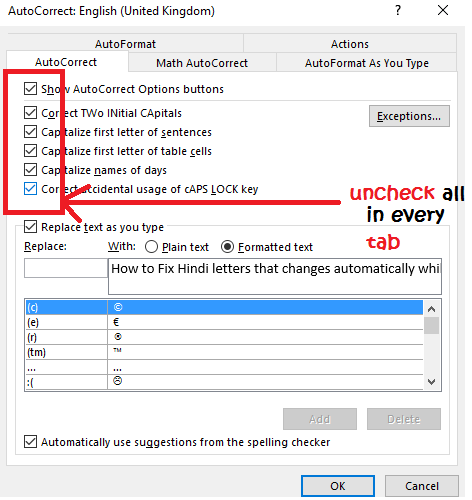 In this way you can disable the auto correction option in Microsoft Word and Excel. You can also add the display language pack for the Microsoft Office which can installed after downloading if from Microsoft’s website there are many display language and proofing language is available for the Microsoft Office. If haven’t find what you are looking for then you can go to Microsoft Office help and search or ask for the solution. To add Devanagari fonts to Microsoft Office download it from any site if it is in zip format then extract the files in any particular folder then copy these fonts in Control Panel> fonts and if you are using Windows 10 then click start menu then type fonts and open it and copy the extracted fonts to it. You can also install each font individually by right clicking on the font and then select install.